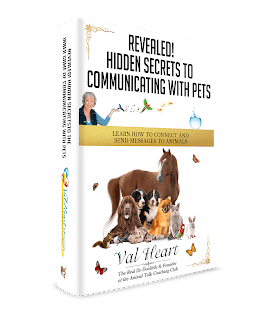 Welcome to the first Interview in an exciting animal communication training series. Get ready, because my professional communicator colleague, spirit medium, author and certified VortexHealing® Divine Energy Healing Practitioner, Philippa Kingsley and I are discussing our favorite topics: Animals, Healing and the Magic of Animal Communication. Philippa combines healing and spirituality with her animal communication blending a powerful force of pure love and energy to enable the animal to feel the pure Divine love that channels through her at the onset of the communication. We can’t wait to hear what you think about it too. So watch the Show and then leave a comment for us, okay? We really do want to know what’s on your mind. Click here to head over to my blog at LearnHowtoTalktoAnimals.com and watch this amazing interview with Philippa! PLEASE! Don’t keep this a secret! !